The shots were few; the goals were far between. 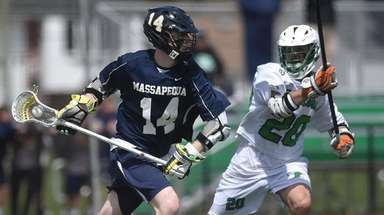 Manhasset could not penetrate the sterling defense of Darien, the No. 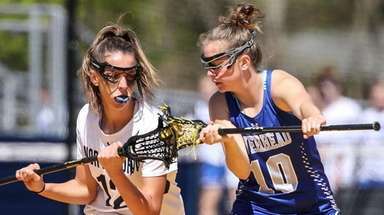 3-ranked team in Connecticut, and went scoreless for the final 19 minutes in a 7-3 loss Saturday in a non-league game, the second part of a Lacrosse Day doubleheader at Garden City High School. "Outstanding defense. 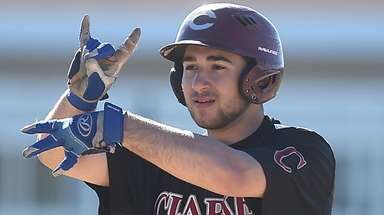 They were all over you," Manhasset coach Bill Cherry said. "Nothing fancy. Not many checks. But they had quick hands, quick feet. They were tough. There's a reason they are 27-0." More precisely, Darien is the defending state champion and has won 27 straight games, including its first four this season. Kevin Lindley scored the Blue Waves' first four goals, but it was the Darien 'D' that stood out. 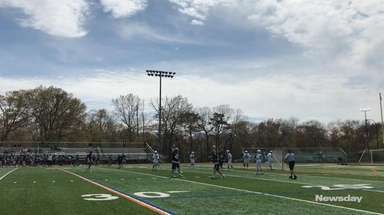 Manhasset (4-4) stayed close into the third quarter, with a solid defensive effort of its own including outstanding work by goalie Henry Mulholland (nine saves). But a three-goal lead entering the fourth was too large against Darien's defense, led by Penn-bound Mark Evanchick and 6-4 bruiser Peter Doering. Evanchick hounded Tyler Dunn (two goals) and Doering shadowed Jack Keogh (one goal). 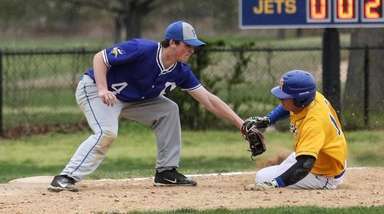 "Tyler is shifty with a high motor, but Mark can take on a player like that down low," Darien coach Jeff Brameier said. "And we put a big guy [Doering] on Keogh because he's such a great feeder." Dunn scored unassisted after coming from behind the cage to cut the Indians' deficit to 4-3 with five minutes left in the third quarter, but Darien scored the game's final three goals and, more importantly, limited Manhasset to just 16 shots, seven on goal. Darien goalie Darien Cornell had to make only four saves. "That's a low number [of shots] for us," Cherry said. "We're usually good for at least the upper 20s in shots. We tried to do things -- set picks, move the ball -- to get guys free." Nothing worked, not even for Dunn, who will be a teammate of Evanchick's at Penn next year. Dunn even tried switching between midfield and attack in an attempt to find some room"Tyler can ride the ball, shoot with both hands and run like the wind," Cherry said.. But Saturday Dunn and his teammates were running against the wind. "We don't get beat easily," Brameier said. "We did a tremendous job with our slide-and-recover. You have to do that against Manhasset because they have great ball movement. It was good team defense." By a very good team.